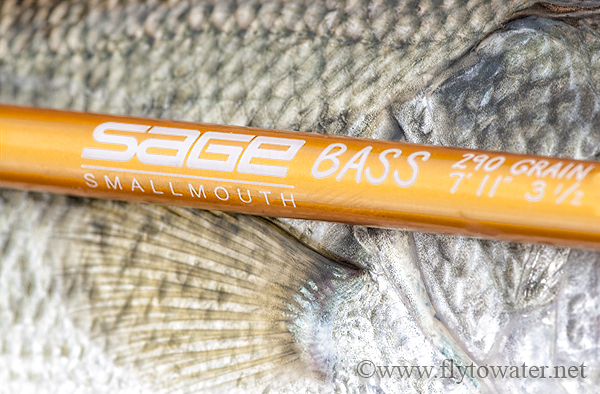 Go out and get yourself a Sage Bass rod. "My good man, I do not like to fish for bass. The size and shape of a fox. I do not baitcast anywhere! There are no poppers in my house! Green big-mouths can kiss my @$$." Well, GET ONE ANYWAY. You will take it on a train. You will carry it on a plane. You will pack it here and there. You'll end up casting it everywhere. 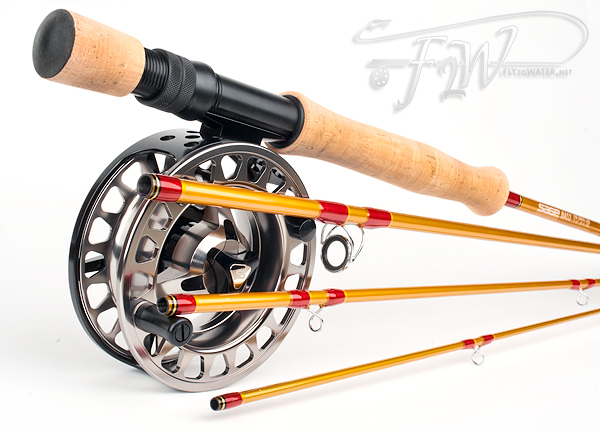 It has been a long time since a fly rod has put the type of smile on my face normally reserved for children under the age of 8 on Christmas morning. 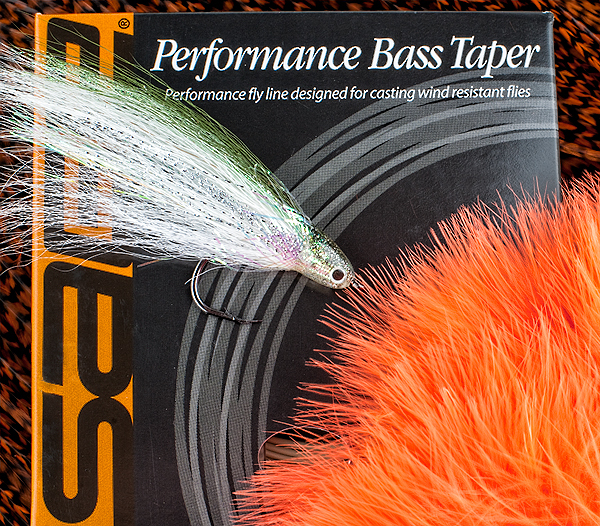 Adjectives like fast, smooth, precise, powerful, accurate, or light weight tend to surface during most initial casting sessions, but rarely the type of spontaneous FUN that I experienced fishing the Sage Bass lineup. There is something about a short (7'11") fly rod that was unexpected when coupled with a lot of backbone (the Smallmouth is probably best described as an 8/9wt, and the Largemouth is even more stout). I've fished plenty of short rods, but they tend to be delicate little 3-weight jobs designed to land spore-sized flies with nary a ripple on the pristine surface of a mountain stream. The BASS series stands apart. These rods are at home flinging flies the size of a pygmy marmoset through the atmosphere and splashing them down with pinpoint accuracy on the exact lily pad that is covering a mouth cavernous enough to consume it. If you are interested in the BASS sticks, you probably already know that much. There are plenty of reviews and videos provided by the retail industry that talk about the strengths of this rod family. They will all tell you that the length and taper produce accurate, short to medium length presentations with a minimum of false casting. It's all true. 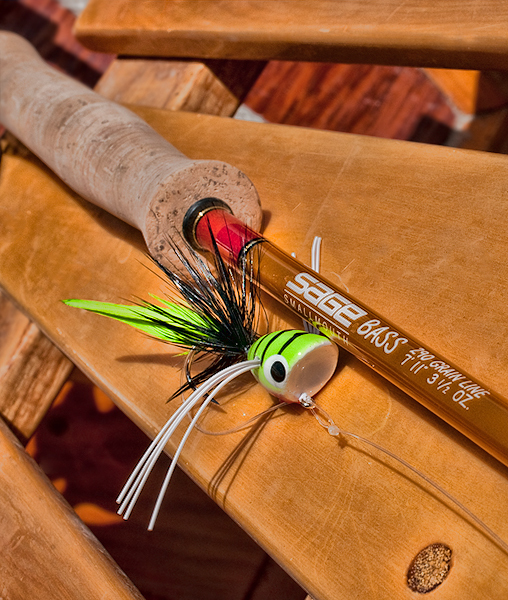 Sage provides a nice package too, with an embroidered rod/reel case and a line that has been custom designed for the rod of your choice. When comparing prices, keep in mind you are getting a premium line and very nice combo tube as part of the deal. The color scheme is eye catching too, and there is no mistaking the BASS lineup on the water. Oh, and I almost forgot, you can catch bass with them too. What you may not know is that despite the all-caps BASS insignia, this platform is really flexible and will surprise you with its non-bassy capabilities. First of all, these rigs have leverage. If you are chasing anything where structure poses a problem, you'll dig these sticks. Among the applications where BASS rods are getting traction: Snook, baby tarpon in the mangroves, pike, muskie, salmon, and more. There is a lot of fighting and head-turning power in this kind of stump puller. PLUS, they roll cast like CRAZY. There's a place I fish chironomid rigs for trout, with a 1" diameter slip indicator, droppers, and a long leader. The bank is very steep and back casts are Hell's own fun. The Smallmouth turns over the whole setup beautifully while maintaining respectable distance by taking advantage of the short rod's compact roll casting stroke. 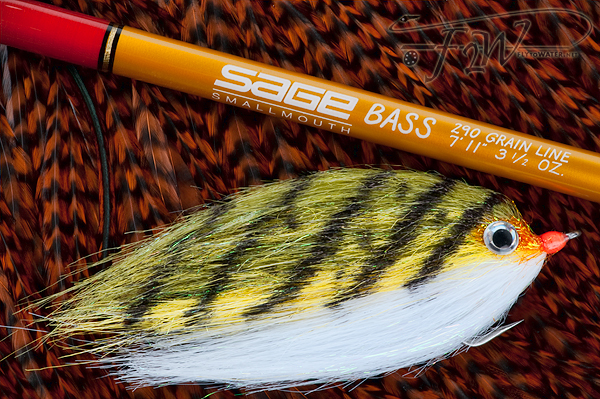 The Sage BASS TORQUE Series. Not just for bass anymore! Support your local fly shop and pick one up at a Sage dealer near you, or check out RIVERBUM if online shopping is more your style. If we had bass here I'd stump the money for one....but we don't, so my doe will stay tight to the bottom of my pocket.....result! We all know your pockets are FULL of dough Simon! These rods are badass pike and muskie sticks. If you need to huck a big fly and fight fish near structure, it's game-on. These are right up your alley.